Today, multi-instrumentalist and global sensation Tash Sultana releases a hypnotic new single entitled "Free Mind" from her forthcoming debut album 'Flow State' (8/31, Mom + Pop), which Uproxx dubbed "one of the most anticipated debuts of the summer." The mesmerising new track is a startlingly compact offering with a message that packs a punch, and it directly follows previous 'Flow State' anthems "Salvation" and "Harvest Love," as well as Tash's recent US festival appearances at Lollapalooza and Outside Lands. "'Free Mind' was a song written over a couple of years," says Tash. "It was pretty much three different songs that I couldn't figure out how to put together until one day when I was in the studio it kind of just fell into place. I don't usually write songs that are 3 minutes and 30 seconds because I find that super challenging, but I feel like I have said what I needed to say. 'When will my mind be free from all the chains that hold me down?'" 'Flow State' has already earned co-signs from NPR Music, Consequence of Sound and Pigeons & Planes, who dubbed her "a guitar god, a master of loop pedals, and well on her way to breaking into the mainstream," and called lead single "Salvation" a "slow-burning, irresistible offering." Billboard said of the new music, "Sultana leaves nothing on the table." 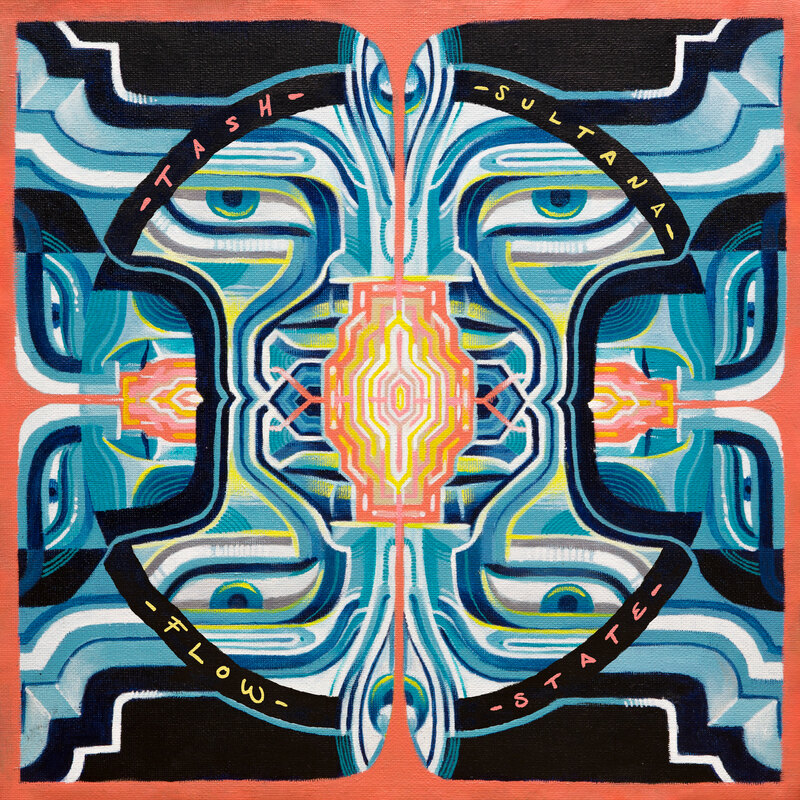 True to form, Tash plays every one of the 15 instruments and sounds that feature throughout 'Flow State,' including saxophone, pan flute, grand piano and guitar, to name a few. All of the songs on 'Flow State' are produced, written, performed and arranged by Tash herself. 'Flow State' is the follow-up to Tash's breakout 'Notion' EP, which has amassed over 200 million global streams globally to date and earned her praise from the New York Times, Billboard, NYLON and more, an NPR Tiny Desk Concert, and her US national TV debut on Late Night with Seth Meyers. Last year, Tash sold out every single date on her first ever US tour before ever setting foot in the country, returning just a few months later for another completely sold-out tour that saw her headlining big theaters. This festival season she played coveted evening slots at Coachella, Governor's Ball and Bonnaroo, in addition to her recent appearances at Lollapalooza and Outside Lands. This fall, Tash will return to the US for another headlining tour, full tour routing below. For more information, contact Matt Hanks, Ally Norton, or Grace Fleisher at Shore Fire Media or call (718) 522-7171 or (323) 395-2444.